How many times have you been put off by the tedious and time consuming task of carpet cleaning? Or even worse, how many times have you hovered your carpets and noticed that there are still dirt stains on them? Magic Carpet Cleaning in Canary Wharf E14 provides the best solution for cleaning the carpets that have been used for a while and need a thorough clean. We use the most environmentally friendly and biodegradable products to create a clean and safe home environment for our customers. Regular carpet cleaning will help you preserve the fibers of your carpet and prolong its life while maintaining good air quality. Our cleaning teams are positioned in strategic positions in London so they can come at a short notice in Canary Wharf E14 and work on flexible schedules. You have the full control over the service from the moment you dial our number. All of our carpet cleaners in Canary Wharf (E14) are veterans in the cleaning industry and are certified. They deliver the fastest and most thorough carpet cleaning services to satisfy the needs of the most demanding clients. Schedule a Cleaning in Canary Wharf E14 Now! 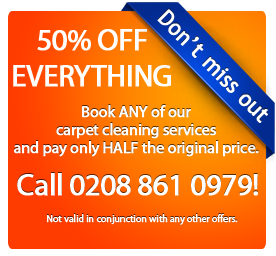 Get your free quote and learn about our latest deals by calling us on 0208 861 0979 or simply use our booking form below!